As early as 64,000 years ago, Neanderthals in today’s Spain were creating impressive cave paintings, showing that they were just as artistic and creative as humans. The ladder shape composed of red horizontal and vertical lines (center left) dates to older than 64,000 years and was made by Neanderthals. Image credits: P. Saura. Neanderthals, our closest biological relatives, were extremely similar to us. They shared common behaviors, common characteristics, and even common territory to early humans. They were also much more sophisticated than most people give them credit for. But they might have also shared something else with our ancestors, something which we consider fundamentally human: our ability to understand symbolism. A team of researchers from the UK, Germany, Spain, and France analyzed carbonate samples from three cave sites in Spain: La Pasiega (north-eastern Spain), Maltravieso (western Spain) and Ardales (south-western Spain). All three caves contain spectacular red or black cave paintings depicting animals, dots and geometric signs, as well as hand stencils, handprints and engravings. These aren’t necessarily new findings, but for the first time, researchers have been able to prove that they must have been made by Neanderthals, since they were the only ones around when the cave paintings were made. Three hand stencils (center right, center topm and top left). One has been dated to at least 66,000 years ago and must have been made by a Neanderthal. Image credits: H. Collado. The team used a dating technique that isn’t commonly employed in anthropology: Uranium-Thorium dating. 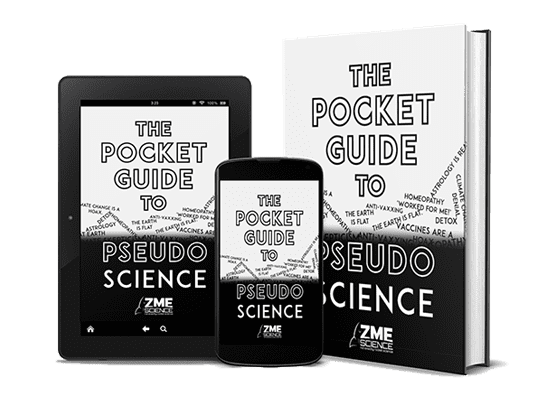 This dating technique relies on analyzing the isotopic content of the two elements and dating the sample by calculating the decay of Uranium 234 into Thorium 230. The technique is widely used to date calcium carbonate materials such as stalactites or corals, but was only recently implemented to anthropology thanks to technological advancements. Radiocarbon technique, which is currently much more common, isn’t able to date back far enough. The team dated the paintings to 64,000 years ago — 20,000 years before humans modern humans arrived in Europe. This means that Neanderthals were the artists behind the paintings. This is the first time any evidence of a Neanderthal cave painting has been found — until now, this artform had been considered human and human alone. There has been some evidence that Neanderthals used body ornamentation around 40,000 to 45,000 years ago, but some researchers believed that they learned the idea from humans, a theory which was almost impossible to disprove. The only way to clearly show that Neanderthals came up with the idea on their own was to date their work to before they met humans — and that’s exactly what this study does. Perforated shells have also bee found in cave sediments, dating to between 115,000 and 120,000 years. Image credits: J. Zilhão. “This is an incredibly exciting discovery which suggests Neanderthals were much more sophisticated than is popularly believed. Neanderthals also dyed and decorated marine shells. Perforated shells were found in sediments in Cueva de los Aviones and date to between 115,000 and 120,000 years, indicating that their artistic practices can be traced even further back. 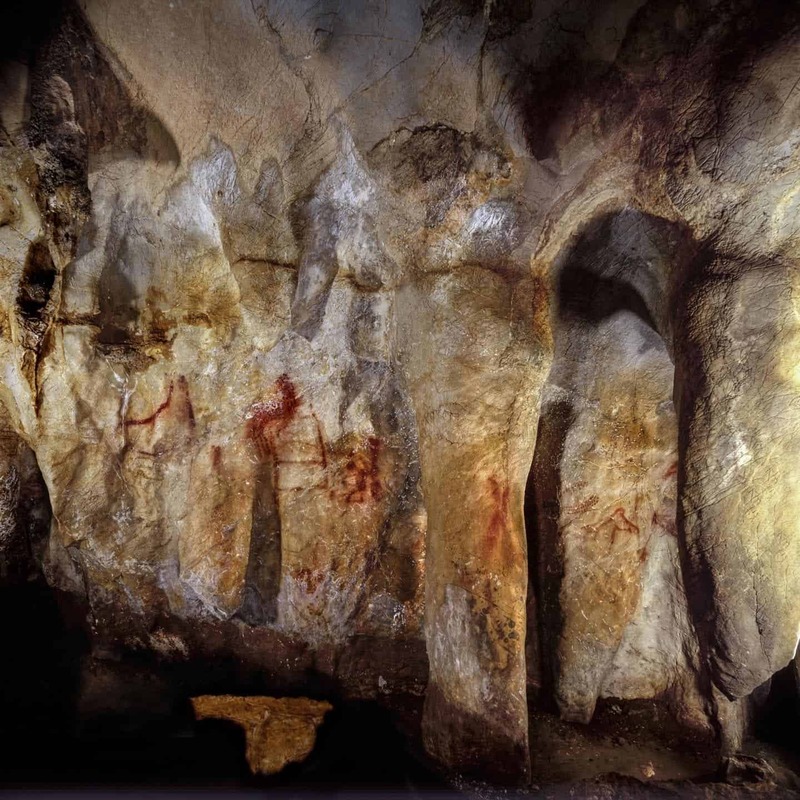 It’s also significant that this is not a one-off accident — paintings were found in three caves 700 km apart, indicating a long-standing tradition passed on from generation to generation. It’s quite possible that many other similar works of art still exist, but we just haven’t found them yet. “This is certainly just the beginning of a new chapter in the study of ice age rock art”, says Gerd-Christian Weniger of the Foundation Neanderthal Museum Mettmann, one of the leaders of the Ardales excavations. It’s intriguing to think about it, but this is convincing evidence that humans and Neanderthals shared the same artistic sense and the same ability for symbolic thinking. Neanderthals weren’t the brutes they’re often portrayed as — they were thinkers and artists just like our ancestors. But this also raises an even more exciting possibility: since both humans and Neanderthals shared creative abilities, it’s possible that they both inherited them from a common ancestor. If this is the case, we might have to look even further — much further — down in history to find where these abilities first appeared. The paper, U-Th dating of carbonate crusts reveals Neandertal origin of Iberian cave art, is due for publication in Science on Friday, 23 February 2018. DOI: 10.1126/science.aap7778.